Is The New York Café the Most Beautiful Café in the World? The New York Café is referred to as “the most beautiful café in the world.” So if that doesn’t set expectations high- what does? Having visited some interesting cafe’s over the years in Japan, we really did not know what to expect. Slightly sceptical initially, we were in fact completely blown away. It is most definitely worthy of it’s title. 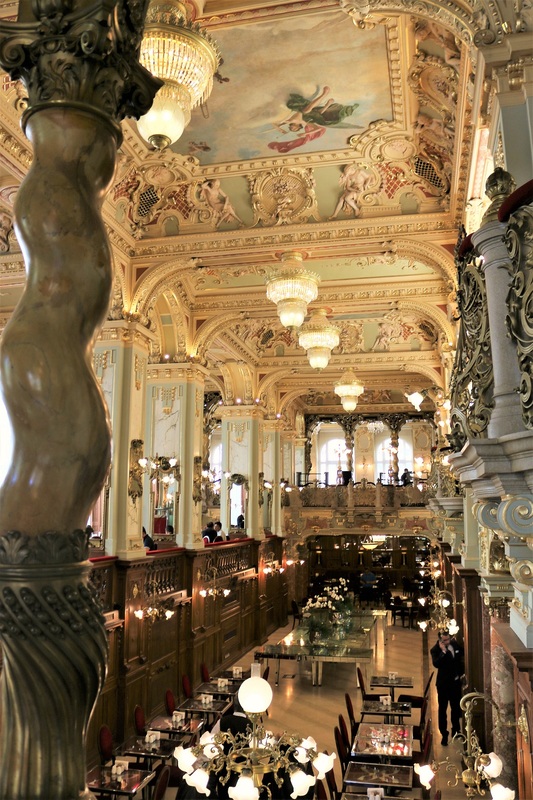 The Budapest café is by far, the most beautiful café, we have ever visited in the entire world. 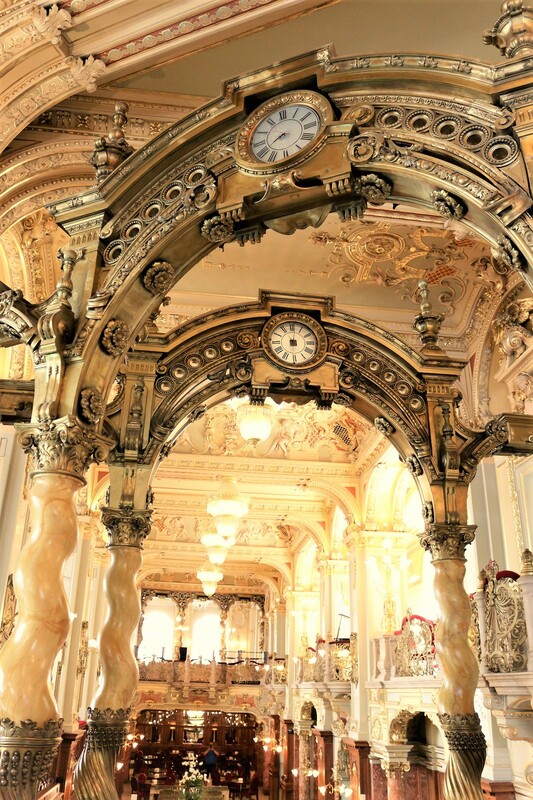 The New York Palace dates back to the 1890’s when the Café was the most popular coffee house in Budapest. 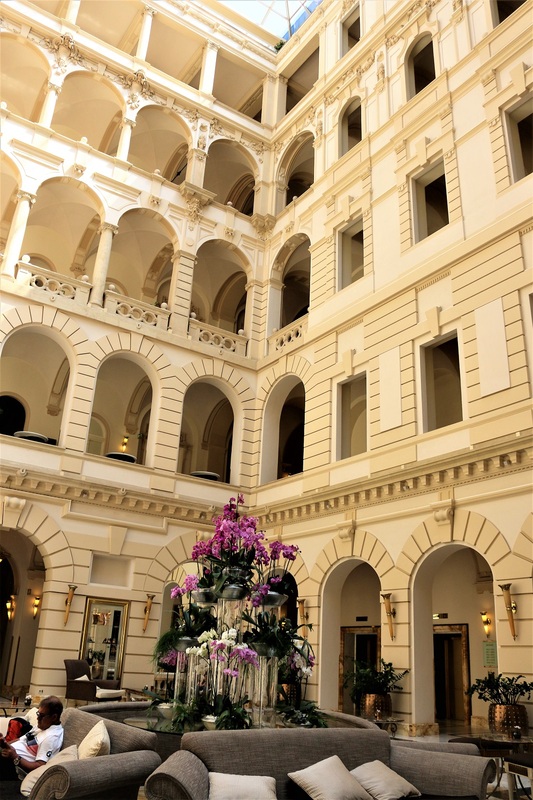 Destroyed in the war, in 2006 it was restored to it’s former glory as the Boscolo Budapest Hotel. The Boscolo group are renowned for their five star properties, which are as luxurious and lavish as they are unique and full of character. The hotel is stylish with a stunning atrium. 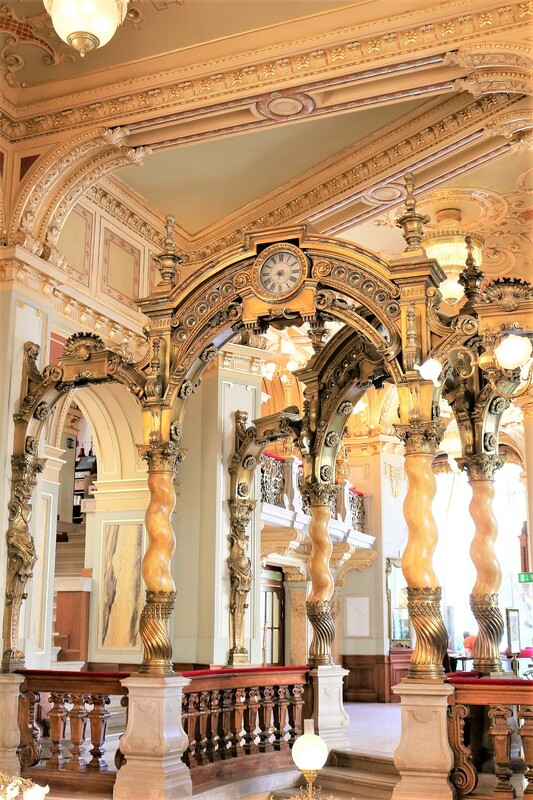 The New York Café can only be described as resembling the inside of an ornate cathedral or grand concert hall. The Renaissance style café has beautiful paintings on the ceilings, with a piano heard echoing throughout. It’s so calm and tranquil with “Somewhere over the rainbow” being played. It’s a rather surreal venue, that is ideal for a romantic celebration, be it a birthday, or anniversary. The mezzanine floor is the best place to sit back and take it all in. 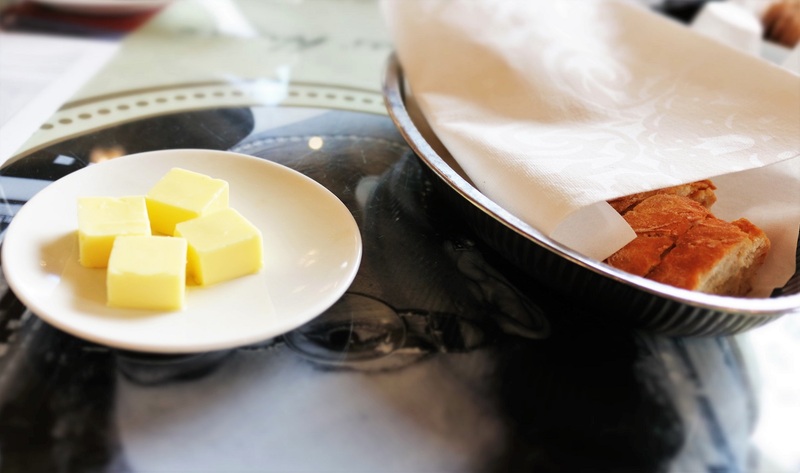 One can only marvel over the impressive 120 year old architecture, as the aroma of freshly roasted coffee diffuses through The New York Café. 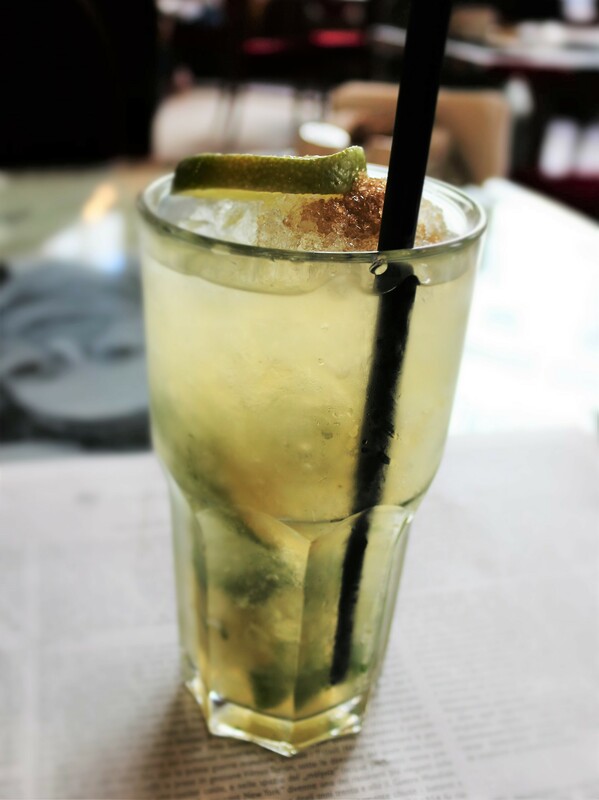 The mojitos are perfectly refreshing, after a day exploring Budapest, and to sit back and absorb the opulent surroundings. One can’t help but get carried away with the extensive European menu. 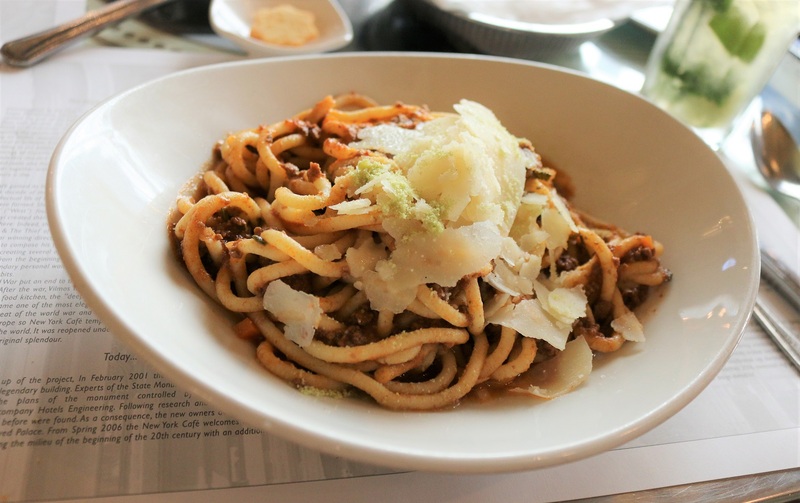 The customary warm basket of bread and savoury fresh egg spaghetti Bolognese, topped with shavings of parmesan were so hearty for lunch.The desserts looked absolutely amazing however we will have to try them next time. There are really no words that can do justice for The New York Café. It is unbelievably beautiful, and is really not to be missed when visiting Budapest. It’s ideal for a memorable celebration, that will have you reminiscing for years ahead. However be warned, it will make it virtually impossible to find somewhere with such an amazing ambiance for future years to celebrate. 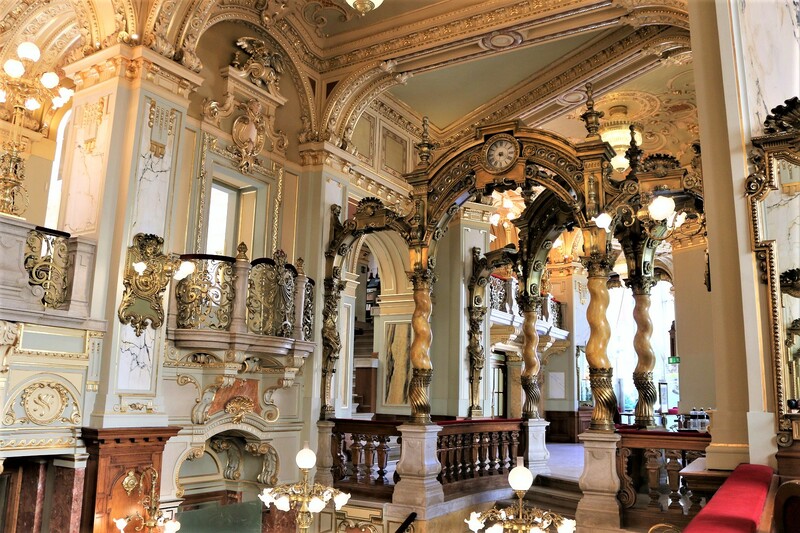 Fortunately Budapest is home to one of the most beautiful restaurants. 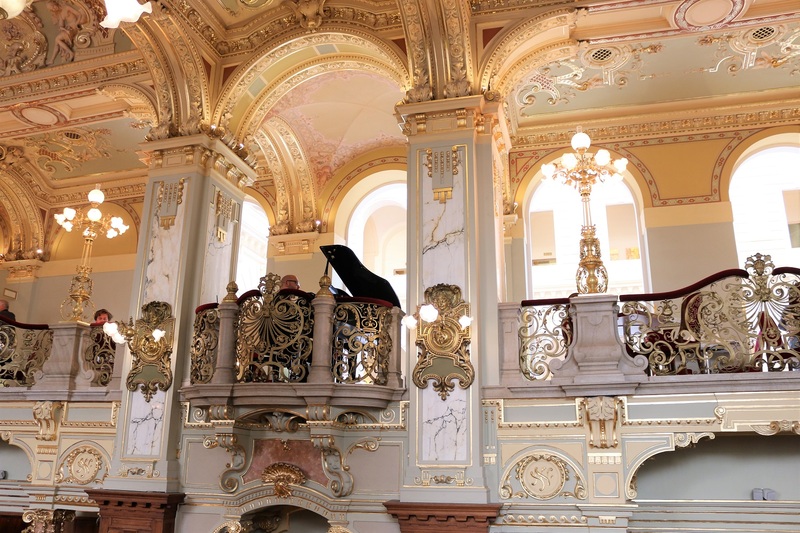 Won’t you agree this is the most beautiful café in the world? 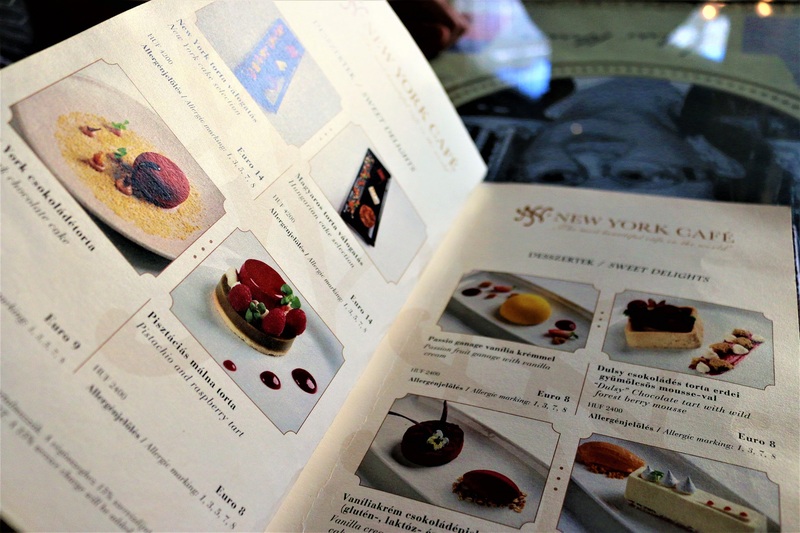 New York Café, Boscolo Budapest, 1073 Budapest, Erzsébet krt. 9-11.